Read the latest news and activities of the RRI Coalition. Learn more about our impact by theme or region. Interested in receiving notifications about new blog posts? Subscribe to the RRI blog now to get new posts delivered right to your inbox. “They started the project by taking away communities’ land without their consent, using intimidation and all kinds of misplaced government power to evict them from their own customary land,” said Kipalu, who now works for the Rights and Resources Initiative in Washington, D.C. Referring to the estimates of Rights and Resources Initiative (RRI) CSD says the actual potential forest land going to be recognized under FRA, 2006 would be more than 85.6 million acres (excluding five north-eastern states and J&K) and more than 200 million Scheduled Tribes (STs) and Other Traditional Forest Dwellers (OTFDs) in over 170,000 villages in the country are estimated to get IFR rights under FRA. 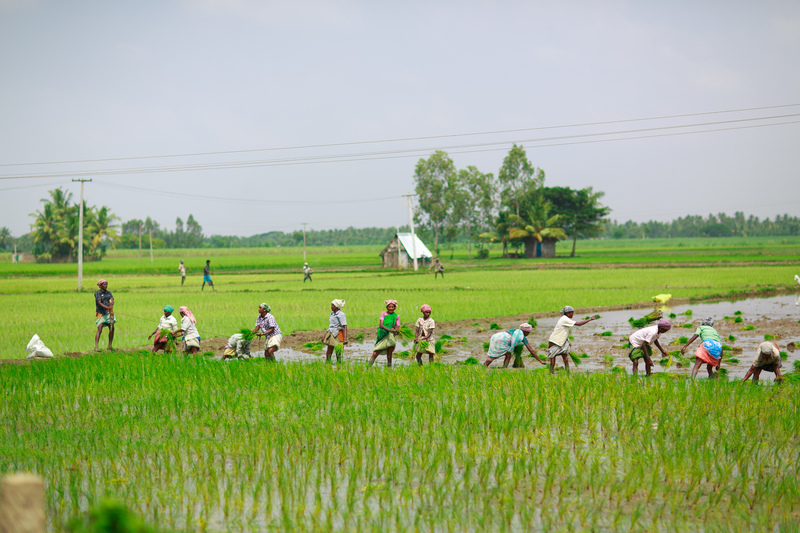 Despite a perception that land conflicts in India are driven by acquisition of private land, growing evidence shows that a large number of conflicts involve diversion of common land. Nearly a third of over 200 ongoing land conflicts in 2016 involved common lands, according to an analysis by Mumbai’s Tata Institute of Social Sciences, a research institute, and the Rights and Resources Initiative, an advocacy based in Washington D.C., USA. The Indian Supreme Court decision in February to remove millions of forest-dwelling people in five months will not only have devastating human rights implications but also hurt the global struggle to save forests and mitigate climate change, according to numerous experts. Even though implementation of the decision has been placed on hold until July, the homes of millions remains under threat. The Rights and Resources Initiative Coalition mourns the loss of one of our planet’s brightest, most dedicated champions. A new community forest bill that aims to give Thai villagers more say in managing natural resources is too limited in its scope and risks further marginalising those living outside areas covered by the act, land campaigners said on Thursday. In 2014, President Joko Widodo had secured a voter bloc of 12 million Indigenous Peoples. But five years later, as he is seeking re-election in April’s presidential elections against the same political opponent, Jokowi has failed to secure the endorsement of the Indigenous Peoples Alliance of the Archipelago (AMAN)—Indonesia’s largest indigenous network—whose voting bloc has doubled in size since 2014. Recognition of the role local and indigenous communities have in stewarding forests continued to grow in 2018. 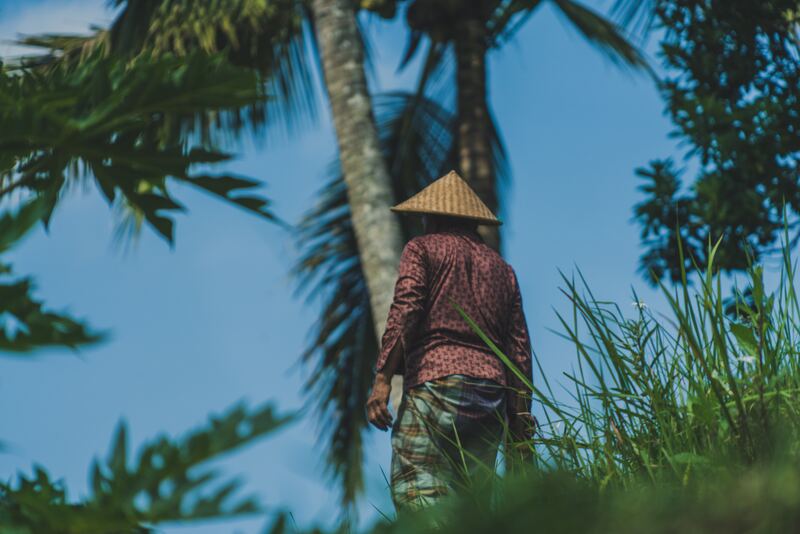 More reports and studies argued that securing indigenous peoples’ land rights is one of the most cost-effective mechanisms for protecting forests and mitigating climate change. Accordingly, philanthropic attention and dollars shifted toward such efforts, including a pledge by group of 17 philanthropic foundations at the Global Climate Action Summit to support recognition of indigenous peoples’ and traditional communities’ collective land rights and resource management as part of their land-based climate change mitigation programs. A study co-authored by UN Special Rapporteur on the rights of indigenous peoples and the Rights and Resources Initiative (RRI) even put a dollar figure on the labor and cash indigenous peoples invest in forest conservation efforts, estimating the annual contributions of such “Forest Guardians” at $1.7 billion. Overall, these approaches, which are framed as human rights issues alongside environmental issues, have a drastic impact on the globe’s future. In September, The Rights and Resources Initiative (RRI) published a study that found that “legally recognized indigenous and community forests tend to store more carbon and experience lower rates of deforestation than other forests.” RRI’s findings reinforce the view that locally managed forests, whether it is indigenous lands or communal lands, help connect the health of nature with the health of people and ultimately the health of our collective future. Indigenous people in Ecuador say their territorial rights are being systematically violated, according to a top United Nations official. Victoria Tauli-Corpuz, the U.N.’s special rapporteur on the rights of indigenous peoples, is urging the Ecuadoran government to form a “truly plurinational and multicultural society” in accordance with its constitution and international law. 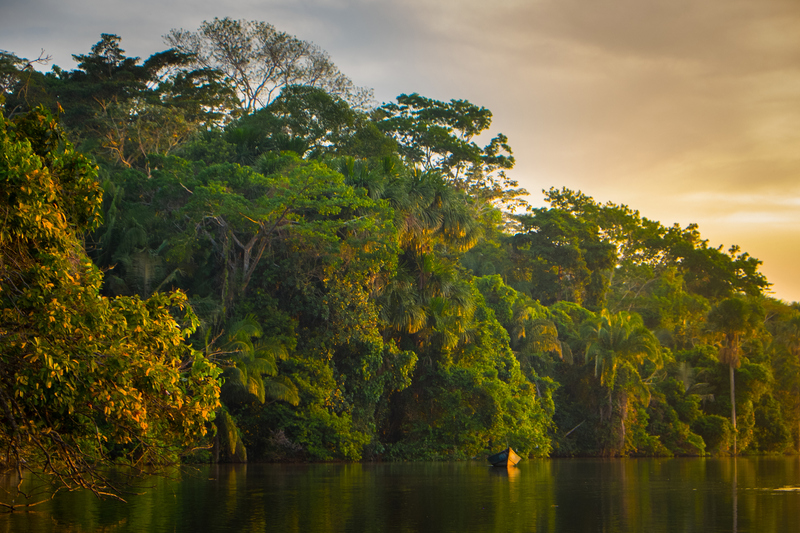 As world leaders gather in Poland this week to hold a critical dialogue on the UN Framework Convention on Climate Change (UNFCCC), the world’s tropical forests ought to take center stage. The ambitious pledge of the Paris Agreement will be virtually unattainable if the world’s remaining tropical forests are not safeguarded. 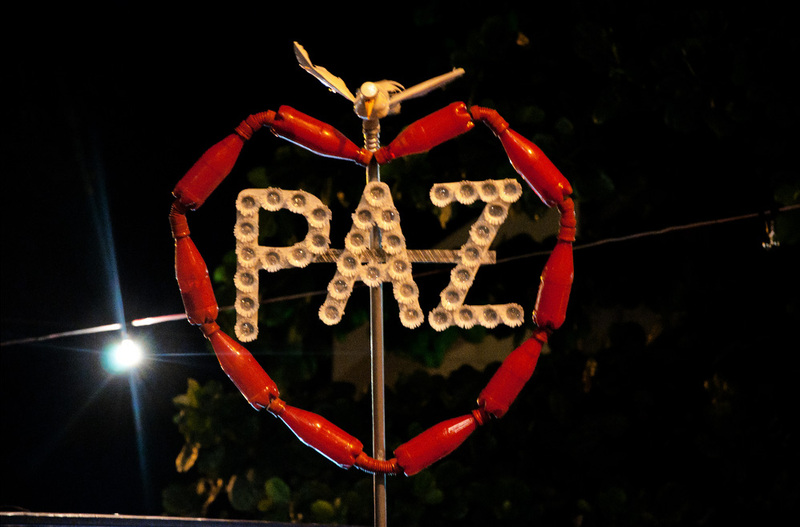 On the 70th anniversary of the Universal Declaration on Human Rights, RRI’s Latin America Program Director reflects on the human rights challenges facing indigenous, Afro-descendant, and peasant communities—and how they and their allies are joining forces to take on these challenges together. The Chao Lay, or people of the sea, have lived on the shores of Thailand and Myanmar for generations, fishing and foraging. But the community may be facing its greatest threat yet as marine conservation efforts limit their traditional fishing grounds, and a tourism boom pits them against developers keen on the patch of land that their boats, homes and shrines sit on. A recent Rights and Resources report provides strong evidence on the importance of recognizing and protecting indigenous rights towards mitigating forest-based emissions and curbing global warming. As a Ph.D. student coordinating the third round of data collection of CIFOR’s Global Comparative Study on REDD+ in Ucayali, Peru, I was pleased to find an on the ground example of why this is important and how tenure security can help achieve the objective of REDD+. 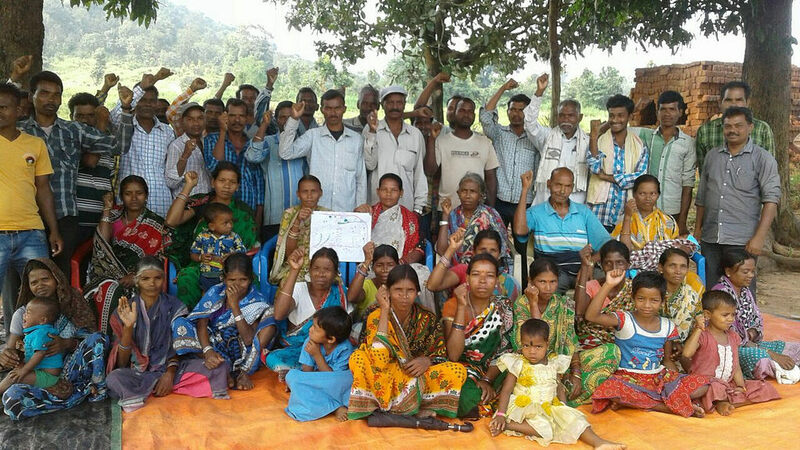 Given that India is the seventh largest country in the world with a population of 1.3 billion people, it is not surprising that land conflicts that affect more remote communities and Indigenous Peoples rarely gain national or international recognition. Land Conflict Watch tracks these cases in order to make them more visible and actionable for journalists, researchers, and policymakers. Around 2011 or 2012, indigenous villagers outside Manu National Park, an internationally renowned biodiversity hotspot in southwestern Peru, noticed that bananas were mysteriously disappearing from the trees that ringed their huts. At the same time, they found that their huts were being ransacked while they were out. They only understood what was happening when they finally caught glimpses of their rarely seen neighbors, uncontacted Mashco Piro tribespeople who lived deep within the park. Governments maintain control over more than two-thirds of global forest area, much of which is claimed by local communities, RRI said in a recent report. In Indonesia, indigenous people are estimated to have ownership rights over 40 million hectares of customary forest and other land. 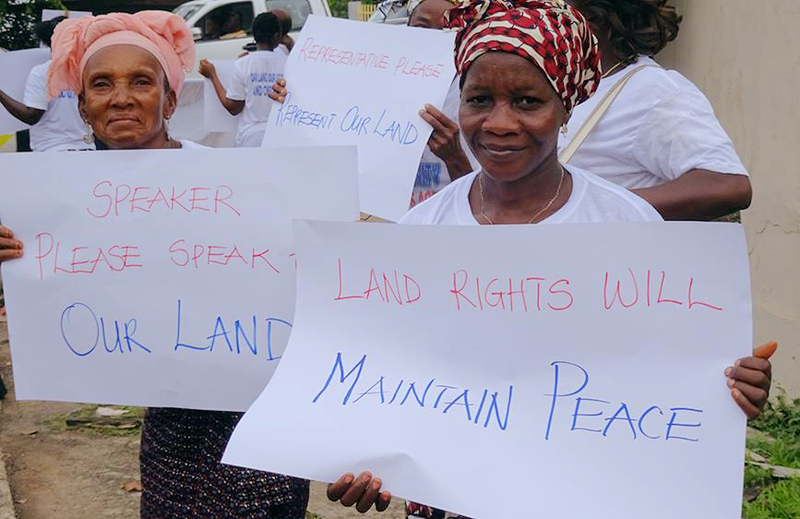 On September 19, Liberian President George Manneh Weah signed into law the Land Rights Bill (LRB), a landmark piece of legislation that recognizes the rights of Indigenous Peoples and local communities to their customary lands and gives customary land the same standing as private land in Liberia. This historic victory sets a precedent for land rights recognition in West Africa and can serve as a model for the region and beyond. Around 1 in 9 people in the world — 821 million — are undernourished. After a prolonged decline, the Food and Agriculture Organization of the United Nations found that world hunger is rising once again. The world’s food systems need to be transformed to curb this trend. Legally recognized and protected land rights for indigenous peoples and local communities in the developing world are a key part of revitalizing the world’s food systems. In particular, the rights of rural and indigenous women to support diverse, local agricultural production require urgent attention. A number of experts now believe that reclaiming land for indigenous people is the best way to protect the Earth’s forests. According to the Rights and Resources Initiative, an N.G.O. that advocates for native land rights, legally recognized indigenous forests “tend to store more carbon and experience lower rates of deforestation.” But in a recent report supported by data from the Woods Hole Research Center, the initiative found that while indigenous communities currently manage forests and soil containing nearly three hundred billion metric tons of carbon—thirty-three times more than global energy-related emissions in 2017—they lacked legal titles to the sites of at least a third of that carbon total.” This puts “them, their forests and the carbon they store at great risk,” Alain Frechette, one of the authors of the initiative’s report, said. A web-based application that monitors the impact of successful forest-rights claims can help rural communities manage resources better and improve their livelihoods, according to analysts. Indigenous peoples and local communities in 64 tropical and subtropical countries occupy land storing nearly 300 billion metric tons of carbon above- and below-ground. That’s equal to 33 years of pollution, given a 2017 baseline. Where indigenous peoples live, high-tech mapping indicates, deforestation rates are dramatically lower, especially in the relatively few places where they have land ownership rights.